I've gotta admit... I absolutely love false eyelashes and what they do for my eyes, but even though I've been wearing and loving them for quite a while now I'm not the best at applying them so I save them for special occasions. 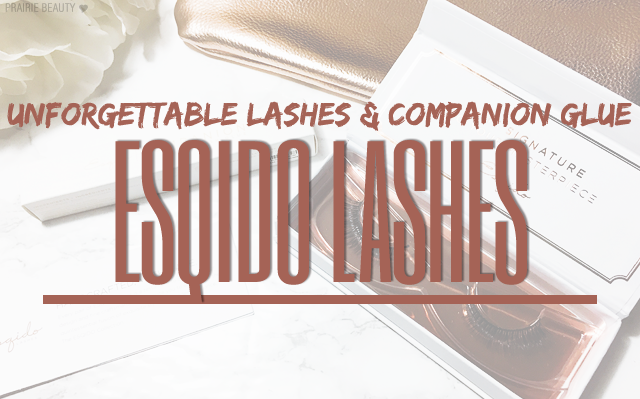 Recently, I got the chance to try out the Esqido Unforgettable Lashes + Companion Glue* and I have to say, I was pretty swoony about them right from the jump. One cool feature that the Esqido website has is the Interactive Lash Guide, which can help you select the style that's right for your eye shape and personal taste. I used this to choose my lashes and it was really helpful. Esqido lashes are actually the first natural lashes that I've tried and I have to say I'm really impressed with the difference. 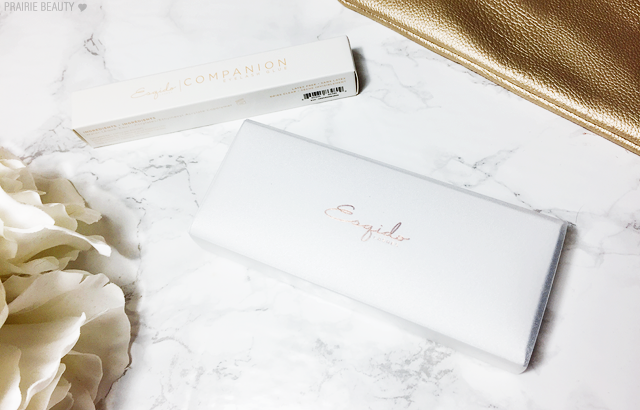 The lashes not only look really soft and natural with the taper of natural hair, but they have a really soft feel to them that is just completely different from the synthetic lashes I've always used in the past. Esqido sources their lashes ethically, using only the highest quality, naturally shed hairs. 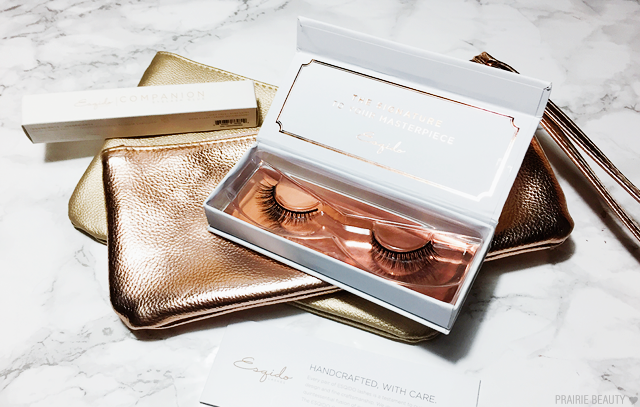 These lashes can also be used up to 25 times with proper care, and the case that they come is in perfect for storing them between wears. This was actually my first time trying out mink lashes and I really love the fluttery softness of them. The thing that really gets me about the Unforgettable lashes is that the walk a really beautiful line between almost looking natural, because they've got a softness to the look of them, but also giving some glam with a lot of volume and length. I feel like these are basically the perfect lash style for me, because they're gorgeous and dramatic without ever feeling like too much. The band is a little bit thicker than I'm used to, which did take a little bit of getting used to, but I found that it was really soft and flexible so it was really easy to apply and conform to the eye and never felt uncomfortable to me throughout the day. One of the things that really struck me about these lashes is just looking at them in the case, you can really see that they're well made with a really even distribution of hairs that's consistent in both strips. I know that this may seem like a given, but I really feel like these go above and beyond in that respect. Considering these are a luxury brand lash, I had high expectations as far as quality and craftsmanship was concerned and I feel like they lived up to them. I love this glue. I'm just going to go ahead and say that straight away. Now, I do think that there's one thing I have to stress with that. I find that this glue works best when you give it a little bit of extra time to dry on the lash band before you apply it. I've found that if I wait about 90 seconds between applying the glue to the lash and placing the lash on my eye, there's a sweet spot where it's really tacky and really grips on but still has enough play so that I can adjust and place the lash just where I want it. 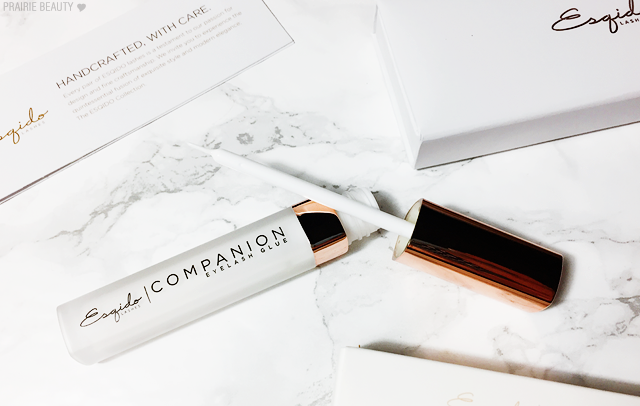 When I've given it that time, I haven't struggled at all with any lifting as I've been wearing them, but I feel like the fine brush tip would work perfect for getting in there to re-stick down your lashes if you needed to later in the day. Did I mention I love this glue? 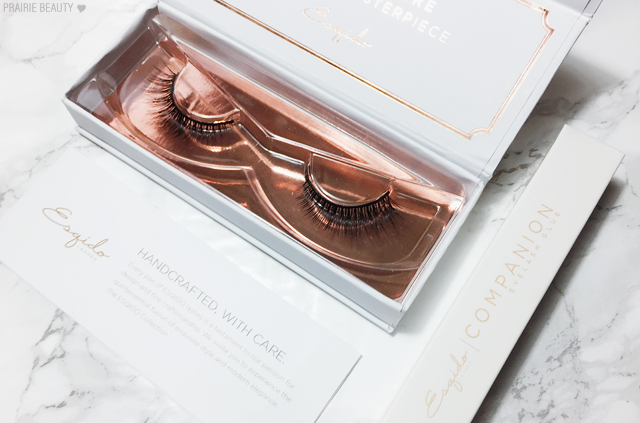 Overall, I have to say that I really, really think these are beautiful lashes and would be a worthwhile purchase for someone who wears lashes regularly or for someone who just wants a good pair of lashes that will get a lot of wear. They are spendy, certainly, but I think that the number of times that you can wear them really helps to balance out the price. Esqido lashes are available at Holt Renfrew and retail for $35CAD and the Companion Lash Glue retails for $12CAD.